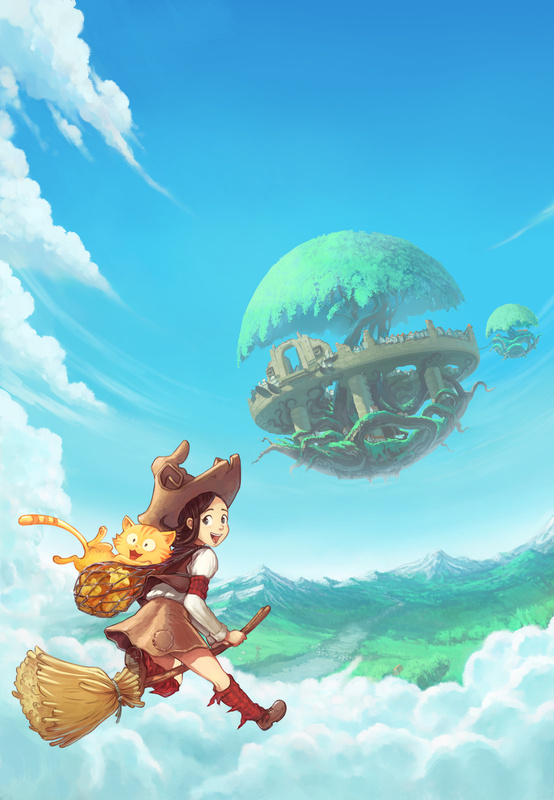 I just finished to paint a remake of the illustration "flying around Komona". This remake is optimized for vertical covers (print) and illustrate a scene of the episode 3 just after Pepper bought pumpkinstars at the market. License: CC-BY David Revoy, www.davidrevoy.com, 24 february 2016 .